No Finish Line 2012 is back, trying once again to raise valuable funding for a variety of worthwhile causes. This Saturday at 2pm, for the 13th consecutive year, Princess Stephanie will officiate at the start of No Finish Line, a unique pedestrian race held around the Port Hercule in the Principality. 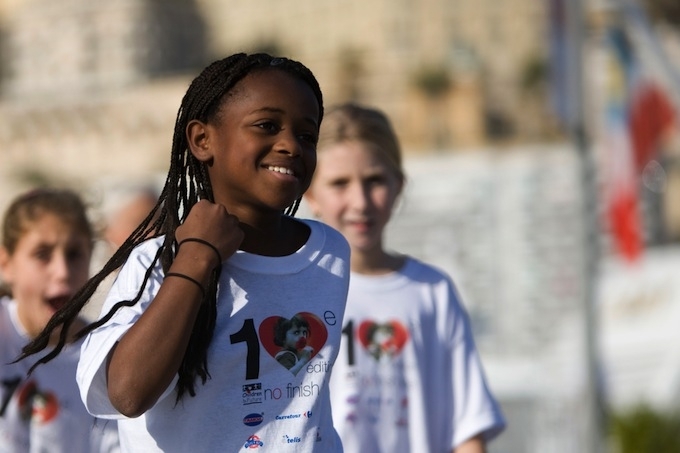 Created by the Junior Chamber of Commerce of Monaco in 1999, this fun event has a simple concept: For each kilometer completed by the participants, one euro is donated to the Children and Future Charity. Over the course of 8 days, from the 17th to the 25th of November, the organizers are hoping to attract some 7,000 participants and to raise 230,000 euros in order to break last year’s record, which made nearly 224,000 euros. You don’t have to be a great athlete to join in; all ages and levels are welcome. You can run, jog, or walk and you can participate solo or in teams. You can also do your part all at once, or a little every day. A microchip will be attached to your shoe so every time you cross the start and finish lines, your valuable kilometers will be recorded. And also for the first time this year, you can wear stilettos! The Akileine Laboratory is organizing a 50-metre sprint in stiletto heels with qualifying rounds every day after 6 pm and a grand final on Friday. The money raised from this event will go to aid five projects, among them The Monaco Cardio Thoracic Center, which supports humanitarian causes around the world by providing medical staff and equipment to help children with cardio thoracic malformations, Fight Aids Monaco which is presided over by Princess Stéphanie, and the construction of a school in Segou, Mali.